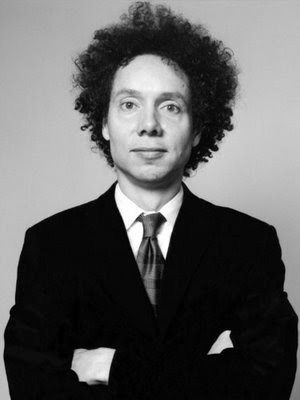 Malcolm Gladwell's logic, like his hair, is sometimes a bit frizzy. Gladwell questioned that assumption. And he found that creativity – like youth – is not always wasted on the young. Calling for backup, he cited University of Chicago’s David Galenson, who recently made headlines as the economist who invented a way to evaluate the importance of a work of art based on how frequently its reproduction appears in textbooks. Expanding the scope of his methods, Galenson found that there are about as many “great” poems, paintings and films created by middle-aged and older artists as there are “great works” produced by artists in their youth. From this data, Gladwell concluded that, for every youthful prodigy, there is a “late bloomer” – one who doesn’t come into his or her own until middle age. Hmmm.... Not so fast, smart boys. The fact is, Alfred Hitchcock distinguished himself with a successful film career in Britain long before he moved to the States to direct the previously-mentioned series of films. He directed his breakout film, The Lodger, (1926) at 28 and followed that with additional successes. Highlights include The Ring (1927), Blackmail (Britain’s first talkie,1929) and Murder! (1930). Hitchcock was praised for his brilliance, originality and deftness of touch that, in the words of one critic, challenged “comparison with the best that America [could] produce.” By the time he’d directed the classics The 39 Steps (1935, and which anticipates North by Northwest in both its plot and its themes) and The Lady Vanishes (1938), Hitchcock was being courted by Hollywood’s top producers – he eventually signed a multipicture deal with David O. Selznick – and was being hailed as Britain’s greatest director. Though Hitchcock continued to improve his methods and technique, and indeed can be said to have peaked during his fifties and early sixties, his genius was clearly evident even as a young man. Both Galenson and Gladwell overlook these facts about his career, and for that I have to deduct points from their research. But the biggest problem that I have with Gladwell’s article is that he divides “genius” into two camps – those who peak early and then peter out and the late bloomers who reach their potential after many long, seemingly unfruitful years. I don’t think it’s that simple. My observation is that, yes, there are people who fall into one of those two groups. There is also an abundance of gifted individuals who fit everywhere in between. Alfred Hitchcock's genius was such that he fit into both categories. 31 days of Alfred Hitchcock Trivia Contest going on!...but I think that your blog is like a "dream" come true! Thanks so much for those very kind words! I'll try to keep it interesting for you. With that in mind, what would you like to hear more about, re Hitchcock? Joel Gunz said, With that in mind, what would you like to hear more about, re Hitchcock? director Alfred Hitchcock and his film Shadow of a Doubt. I think that there's no question that Hitch did some great movies in Britain in his early years. But we have to admit, as much as we like those efforts, that Hitch didn't REALLY hit the stratosphere until SHADOW OF A DOUBT at the very earliest. Then when the fifties came along, he was absolutely unmatchable. Still is, really. I can see Gladwell's point. However, we should remember that part of what was holding Hitch back in the 20s and 30s was the clunkiness of the available equipment and the general low quality of British filmmaking of the era. I think had he been gifted with the 50s-era collaborators and technology, he would've been hitting that VERTIGO-style home run way earlier in his career. Hello, Dean! You are absolutely right. For painters and poets, the technology of their craft has remained essentially unchanged for thousands of years (unless you figure in the typewriter, but still...). Filmmaking technology, on the other hand, has gone through enormous changes. Hitch was regarded as a thought-leading genius during the silent era and a groundbreaking innovator with the use of sound and, later, color. So, while his best work was yet to come, those early years showed more than mere promise -- they were deftly-executed works that can be said to represent the best that the medium had yet to offer. It must also be taken into account that Hitch had the additional challenge of working in the British film industry, producing first rate work in that relatively lesser-regarded corner of the world. (According to my understanding of that time, Hollywood and Germany were considered stronger centers for filmmaking.) In short, though Hitch's best pictures came in the 40's and 50's (the golden era of film in general), can Gladwell et al really categorize him as a late bloomer?